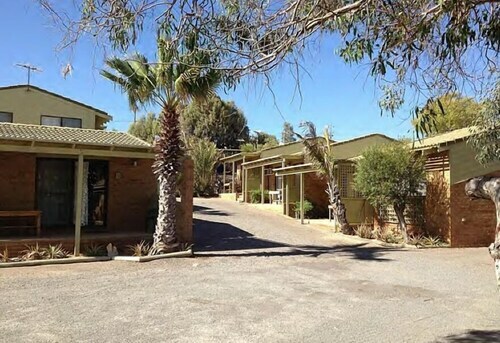 Situated near the beach, this villa is within a 10-minute walk of Gordon Peters Park and Shark Bay World Heritage Discovery Centre. Eagle Bluff and Ocean Park Aquarium are also within 9 mi (15 km). The westernmost town in Australia, Denham has transformed into the gateway destination for tourists visiting the dolphins at Monkey Mia. 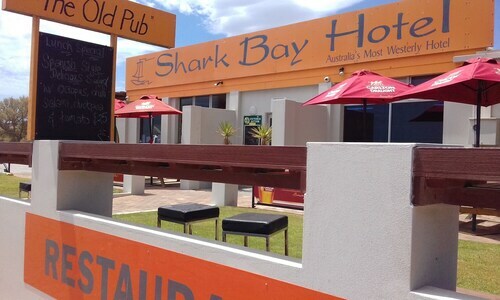 Book from our range of Denham hotels and come enjoy the beauty of Shark Bay National Park. The first place that Europeans visited on the Australian mainland in 1616, Denham wasn't officially settled until 1858. Often overlooked as tourists flock to Monkey Mia, Denham has spectacularly clear waters, white sandy beaches and a fantastic jetty to try your luck fishing. For heritage buildings the Old Pearlers Restaurant and the St Andrews Church are still the original structures, made from blocks constructed with tiny bivalve shells taken from the nearby Shell Beach. Denham is the main settlement in Shark Bay, famous for its World Heritage listing. The national park offers visitors pristine beaches, beautiful azure water and a unique ecological system. The Hamelin Pool is one of only two places in the world where living marine stromatolites exist, ancient structures that give an insight into what life was like over 3.5 billion years ago. No visit is complete without a close-up dolphin experience, so get down to Monkey Mia early in the morning to be as close as possible to these wild sea creatures. They swim in to shore to interact with people, and if you book in advance you can also feed them! Denham is also home to the world's largest population of dugongs, mostly spotted in summer when they come in to graze on the seagrass in Shark Bay. 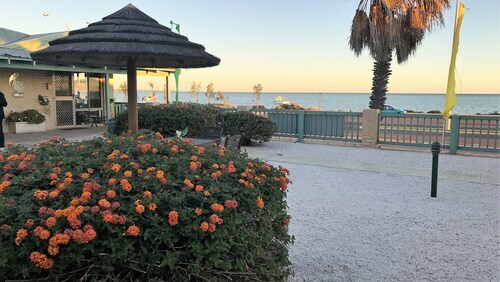 840 kilometres north of Perth, Denham has transformed itself from a small pearling camp to be the administrative capital of the Shark Bay area. Surrounded by pristine national parks, it's the ideal location to stay and explore the beauty of the surrounding region. 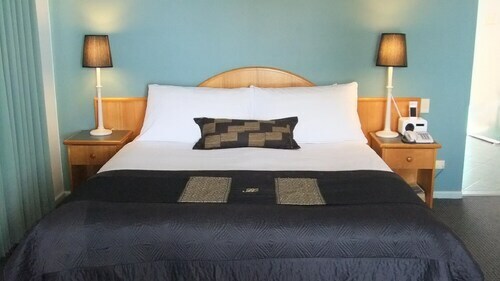 It's an easy place to spend a week, so book your Denham accommodation and enjoy your trip! How Much is a Hotel Room in Denham? Hotels in Denham start at AU$100 per night. Prices and availability subject to change. Additional terms may apply.